Purchase and sale of farm land. Farm Leases, Letting Agreements and Licenses. Dealing with issues of Gift Tax, Inheritance Tax, Capital Gains Tax and Stamp Duty relating to Farmers. Transfer of family farms incorporating appropriate provisions for family members. Farmer's Wills and Family Settlements. Establishment and operation of Farming Partnerships and Limited Liability Companies. Preservation of family farms in cases of marriage breakdown. Division, consolidation and exchange of farmland. Development of farm land for building or industrial use. Dealing with all aspects of Farmer's employment contracts. 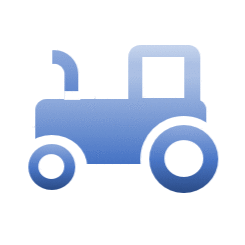 Advising on Farmer's rights and obligations relating to livestock and farm machinery. Sale, purchase, and apportionment of EC Entitlements. Creation and operation of contracts for extraction of sand, gravel and building stone from farm land. Establishment and extinguishment of easements in farm land. Advising on general legal liability and on appropriate insurance cover required.